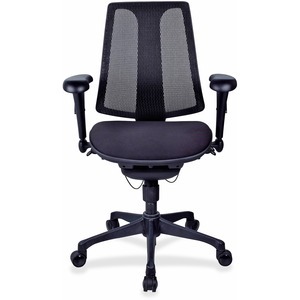 Mesh Back Chair features a breathable mesh back and fabric-upholstered, cushioned seat for comfort. Black plastic frame features a 27-1/2" five-star nylon base equipped with dual-wheel, hooded casters. 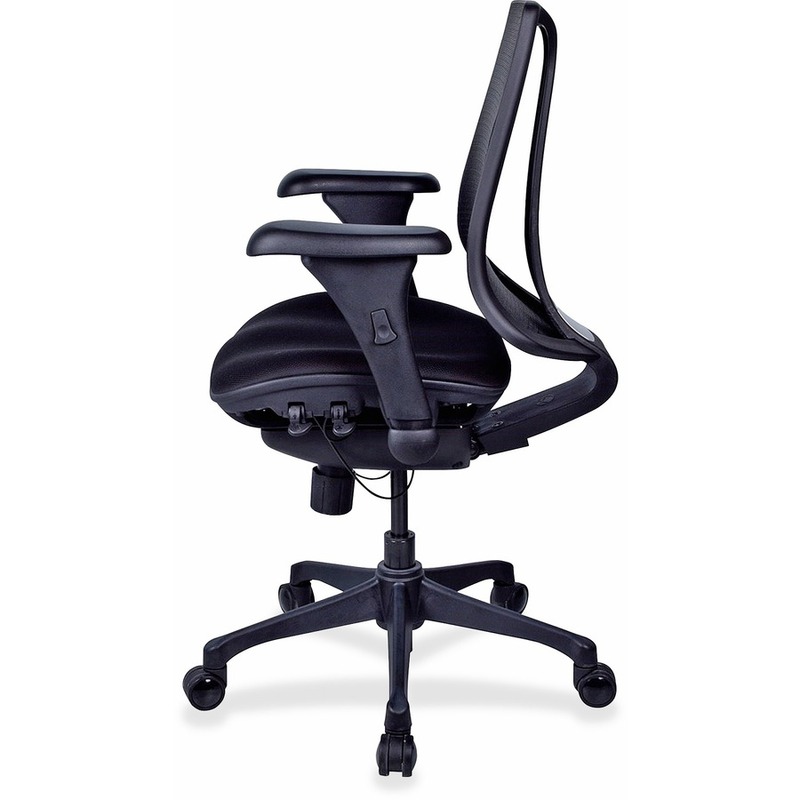 Functions include pneumatic seat-height adjustment from 19" to 23", 360-degree swivel, seat-depth adjustment, tilt tension adjustment and backrest tilt angle with three stage adjustments. 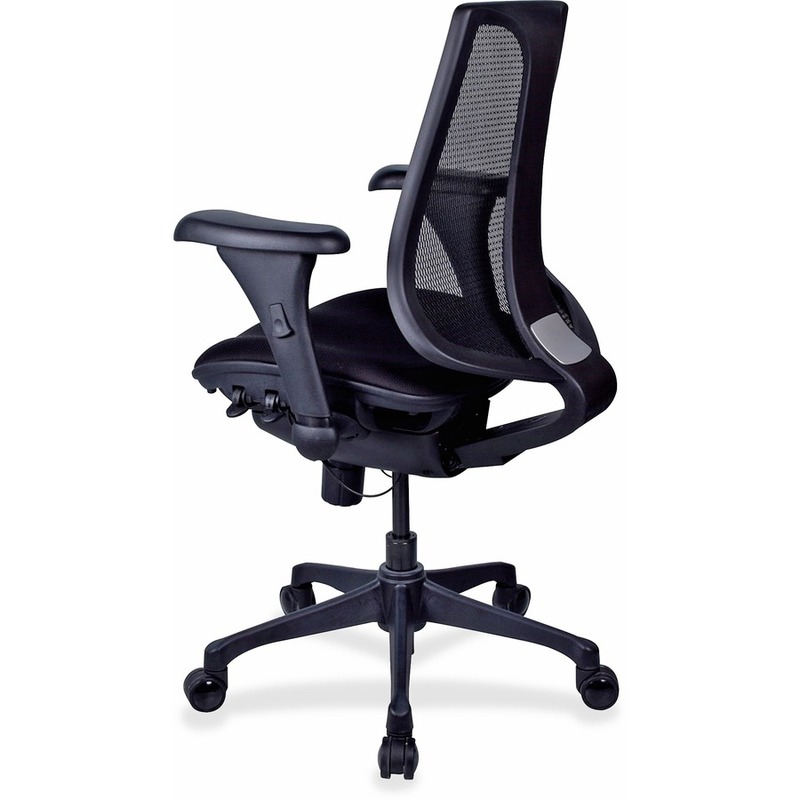 The posture mechanism/lock allows the back angle to adjust independently of the seat and can be locked in a number of positions. Adjustable-height arms with polyurethane pads offer a soft surface to rest your arms. Seat size is 28" wide x 28" deep. Back measures 18" wide x 19" high. Distance between arms are 18". Weight capacity is 250 lb.